CJ Johnson visits David Bumpass, M.D. for a follow-up months after surgery. April 10, 2019 | The Arkansas Tech Wonderboys defeated Southeastern Oklahoma State Oct. 27, 2018, ending a four-game losing streak and marking the first time in 26 years the Wonderboys defeated the Savage Storm on the road. With 46.5 seconds left in the game, the Savage Storm still had a chance to win. They were within scoring range on the fourth down with seven yards to go. Arkansas Tech was leading 10-6. The opposing quarterback passed the ball through the middle. Arkansas Tech linebacker CJ Johnson went in to break up the pass, preventing the first-down. But Johnson didn’t get up from the tackle. After a few minutes the crowd at Paul Laird Field in Durant, Okla., fell cautiously silent as they wondered if he’d be okay. Johnson was taken off the field on a stretcher board and immediately taken to a nearby hospital where they realized he had a severe neck injury. Later that evening he was transferred to UAMS for further care including emergency surgery. 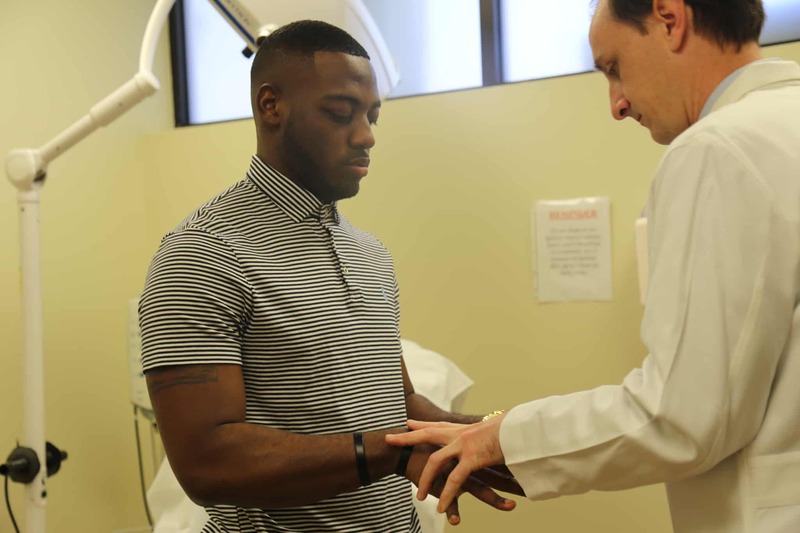 Johnson was fortunate to arrive at UAMS when he did, Bumpass said, because that type of fracture caused the spine to be unstable and would have likely led to a spinal cord injury – leading to permanent loss of strength or function. He’d already felt numbness in his left arm. To repair the fracture, Bumpass went in to the front of Johnson’s neck. He removed most of the fractured vertebrae. 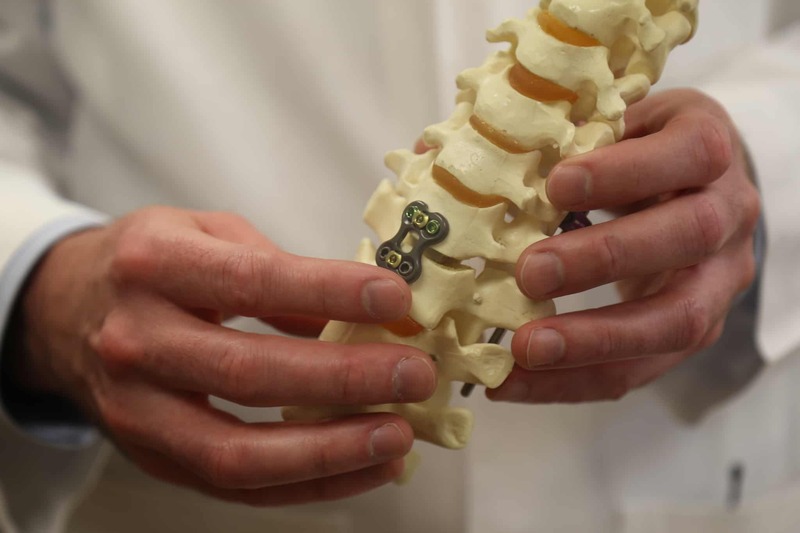 He then replaced it with an artificial bone graft and a plate to give it the spine additional stability. Johnson stayed in the hospital a few days and has recovered significantly. Though he’d played football since he was a toddler, Johnson says he’s not too heartbroken he won’t be able to play anymore. 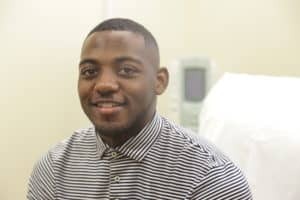 He’s focusing on securing an internship as he prepares to graduate from Arkansas Tech University next spring with a degree in electrical engineering.